Triceratops has an itch. . . so does Pterodactyl. . . and Brontosaurus. . . and T-Rex! But DINOSAURS DO NOT SCRATCH. There is a rule written in stone. What is an itchy dinosaur to do?! 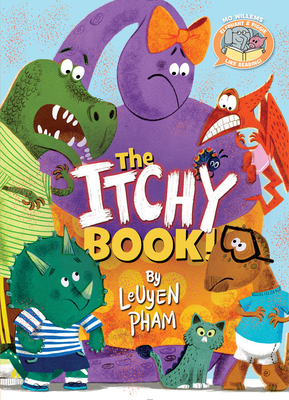 LeUyen Pham is the prolific and bestselling illustrator of many books for children, including Grace for President by Kelly DiPucchio, Freckleface Strawberry by Julianne Moore and God's Dream by Archbishop Desmond Tutu. Pham has also written and illustrated her own works, including All the Things I Love About You and Big Sister, Little Sister. A former animator for DreamWorks, she lives with her husband and two sons in Los Angeles.